Whatever century we may be living in, it has always been taken for granted that the younger generation would be by default, form the majority of the tech savvy populace across the landscape of users of mobile apps and technology. This norm has been attributed to a variety of reasons, including the fact that newer technologies were never very user friendly for an older user, who isn’t very acquainted with technical know-how and geek speak. As a result, the promotion and marketing of the latest innovations and developments in technologies always targeted a niche demographic audience i.e. teenagers to adults in their 40s. This meant a lot of limitations in terms of the types of products that were being developed as well as less scope for creativity and imagination in marketing campaigns. The turn of the century brought about a change in this practice for the better. Developers and designers realised that older users presented a hugely untapped market for mobile applications. Around 30% of the total population of the United States are aged 45 and above, of which a substantial amount are internet users, according to a survey by Statistica. Essentially, technology markets were losing one third of their entire potential market due to the stigma attached to newer technologies and the obstacles faced with making them easily accessible by all age groups. The internet technology industry soon realized the value of this potential market and sought to develop applications aimed at users in the higher age brackets. This method of targeted technology development began with the creation of new devices such as tablets, which were much more easily accessible to an older audience due to the larger screen to text ratio as when compared to laptops or mobile phones. Later innovations moved from just hardware upgrades and tweaks to software implementations that aimed to kindle the interest of the older generation of users, including personalization of user interfaces, and customizability options on internet enabled devices. Medisafe: Many users above the age of 50 are prone to health issues, and Medisafe saw a market in an application that would help its uses to keep track of their medication doses, dosage hours, connects them with their doctors, physicians and pharmacy suppliers thus creating a network through which the user has access to information relating to their needs all around the clock from the comfort of their mobile phones. 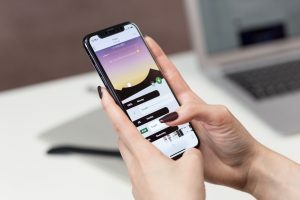 Though innovative and ground breaking in terms of the new markets they were targeting, these apps were still restricting themselves in terms of functionality and in a sense, existing only because of their target market. Already existing applications were not yet modifying themselves to become more accessible to the older generation of users. Once app developers learned that older app users do have the potential to be a viable market for all sorts of app and do not necessarily need apps designed specifically for their uses, they decided that the wheel need not be invented again and set about tweaking already existing apps to make them more accessible for these users. For example, Skype and Facebook started investing heavily in improving their user experience and making their products easily understandable and much more user friendly. These improvements saw a meteoric rise in registrations for these apps by older users towards the end of 2013. Spin off applications such as Easy Facebook for Seniors also starting gaining traction as precursor applications for seniors that would get them accustomed to using the actual product in the near future.It is very evident that the spread of technology is not to be hindered by any sort of demographic, least of all age. 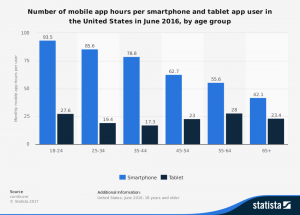 If anything, the traction that mobile applications are gaining amongst aged audience members is comparable to that with preteens and teenagers of this day and age.There is still a lot of work to be done in this field with respect to one crucial aspect, networking amongst seniors. We are talking about a group that consists of users that are mostly retired, but that does not imply that networking and socializing with peers having similar interests loses its position in the list of priorities. These users are not likely to go out to networking events on a regular basis, so there needs to be a way to bridge the gap between their necessities and capabilities in this regard. There is a need for a dynamic social network that can to bring the opportunities of networking right to them through their mobile phones in a manner that is easily understandable and flexible, while at the same time provides the user with the requirements that he or she is seeking. 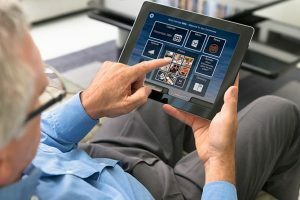 The older generation hasn’t fallen behind at all with the advent of new technology that is growing in leaps and bounds day by day; if anything they are just getting started to overtake the younger generation as the largest group of benefactors from mobile applications of the twenty first century. Do you think we’ve hit the mark regarding the mobile application market finding users in the older citizens or not? Leave your comments below and register for our Beta release here to find out more!